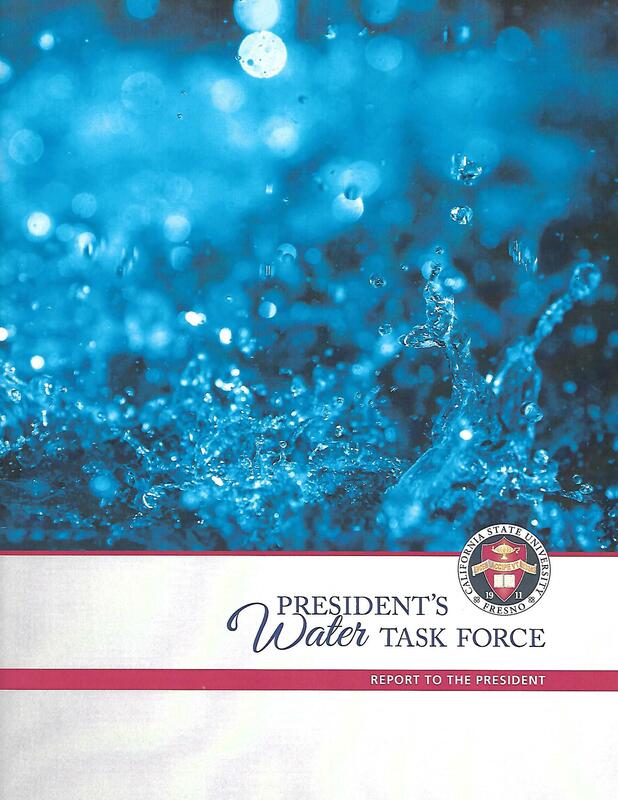 The 19-member water task force was asked in October to help provide campus leaders with ideas on how to expand academic opportunities, ties to the water industry and public sector and boost applied research of innovative water-policy programs. Establishment of a strategic long-term plan with the California Water Institute as the university’s front door to water topics and consolidating it with other university water-related organizations. The creation of a new senior-level campus position to oversee campus water efforts. Formation of a campus Executive Committee for Water and a Water Advisory Board comprised of regional leaders. Creation of water-related academic curricula and a graduate program that connect various departments and colleges and provides training for students pursuing water-related positions. Utilizing innovative companies housed in the campus Water and Energy Technology Incubator as a source of internships. Exposing the campus to innovative, sustainable, and environmentally-sound water management practices. Using the 1,000-acre university farm to showcase new technologies optimizing water and energy. Aligning campus efforts with the state water action plan around water conservation, self-reliant management, preparation during dry periods, expanded water storage capacity, safe drinking water and secure wastewater systems. Using faculty, staff, and students as ‘water ambassadors’ through public forums or programs. Continuing to attract key water policy constituencies from across the nation to workshops, conferences and seminars. “The diversity of voices on the task force provides a depth and breadth to the recommendations that will serve the university well,” said Dennis Nef, Vice Provost and task force co-chair. A copy of the entire report will be available online by clicking here.